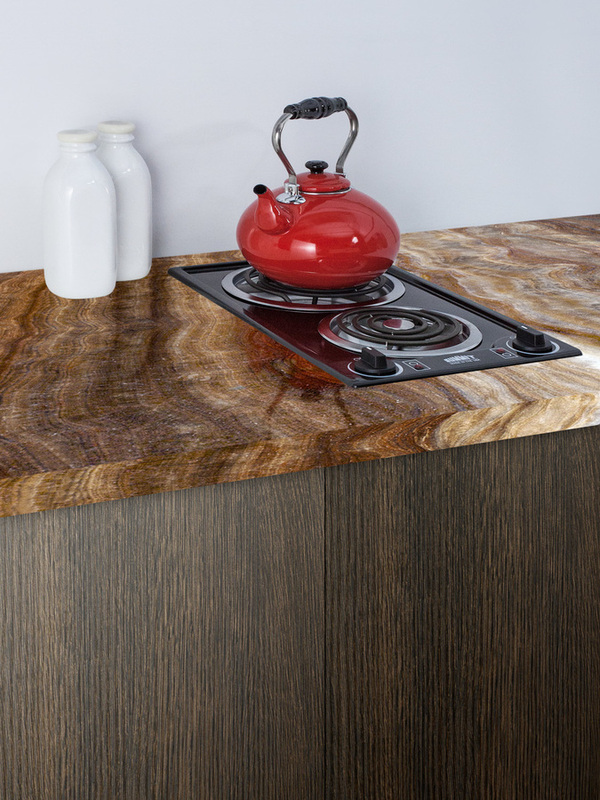 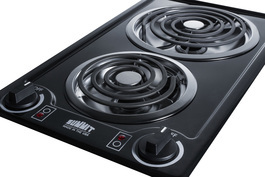 The CCE226BL is a 240V cooktop with a porcelain surface in a jet black finish. 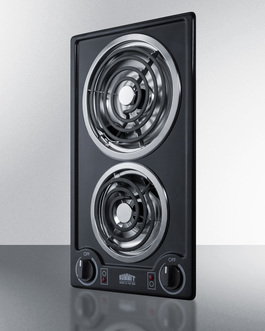 Two coil elements (6" 675W in front and 8" 950W in rear) offer durable heating, with removable chrome drip pans included. The push-to-turn knobs are simple and intuitive, with indicator lights that show which burner is in use for added safety. The recessed design helps to contain spills for a cleaner cooking experience. This cooktop is designed to fit common 11 1/8" W x 19 1/8" D counter cutouts. 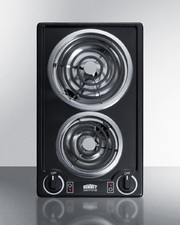 This unit does not ship with a power cord and must be hard-wired by a professional. 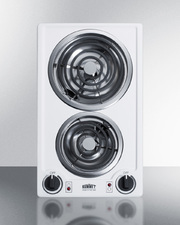 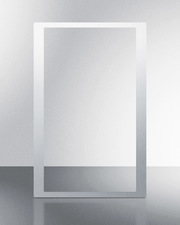 Additional choices are available in 115V, as well as white and stainless steel. 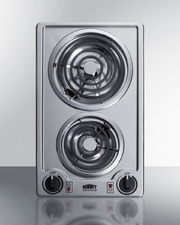 Browse our website for our complete selection of slim-fitting cooking appliances.